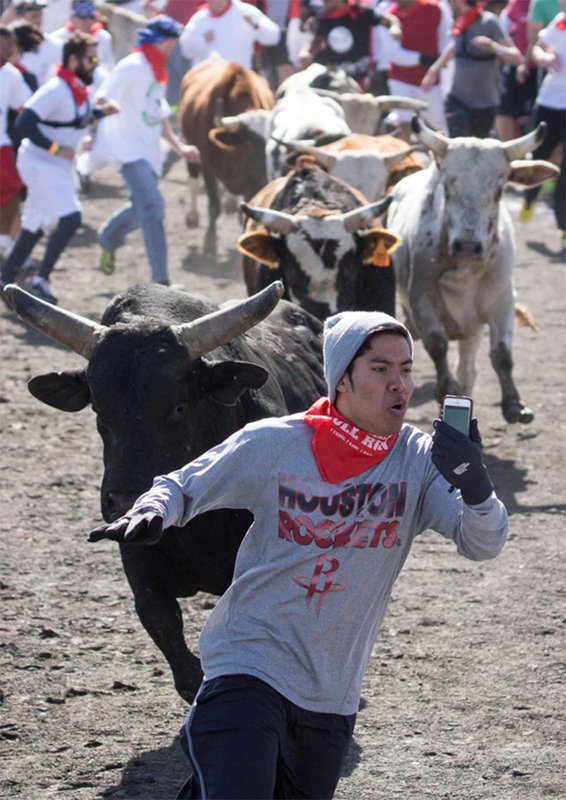 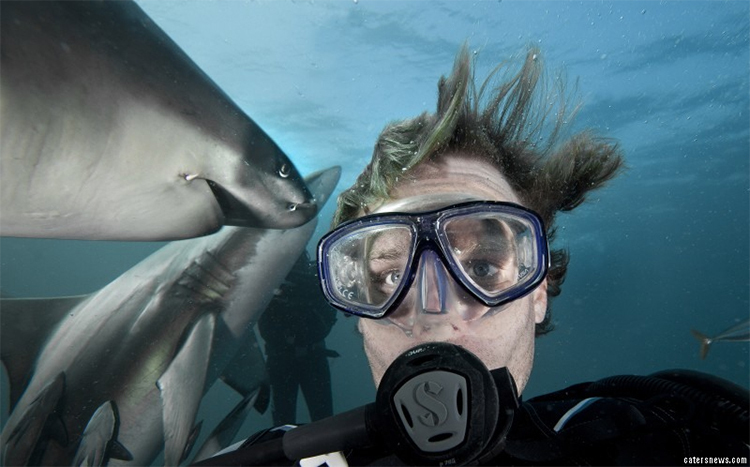 The death toll from selfies has officially overtaken the death toll from sharks. 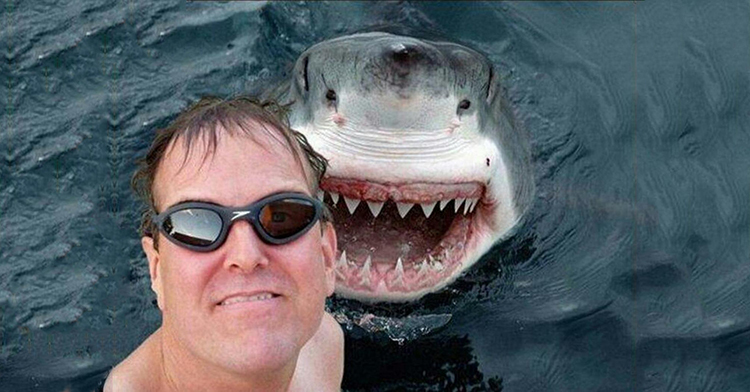 That's right, taking a photo of yourself and doing a pouty face is officially more dangerous than Jaws. 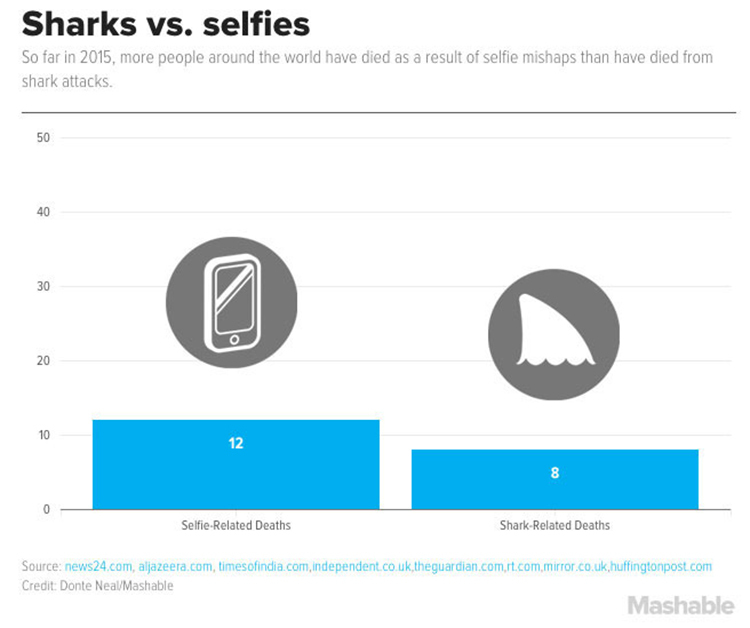 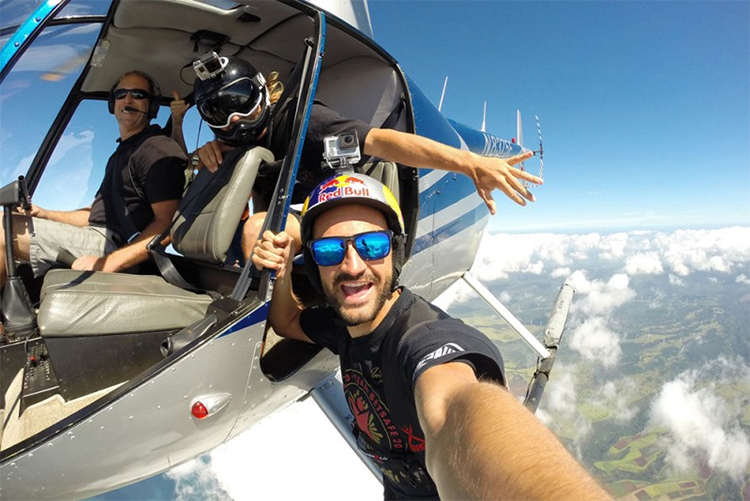 12 deaths have been attributed to selfies this year (mainly people trying to take a selfie, and then falling off something, slapstick style, to their demise) vs eight shark attack deaths. 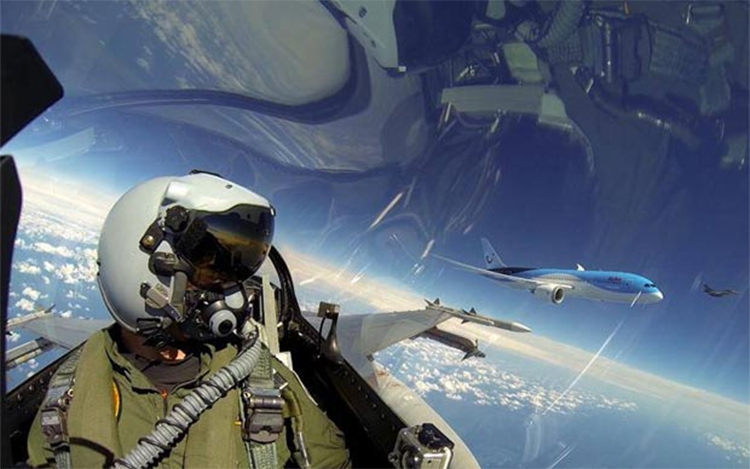 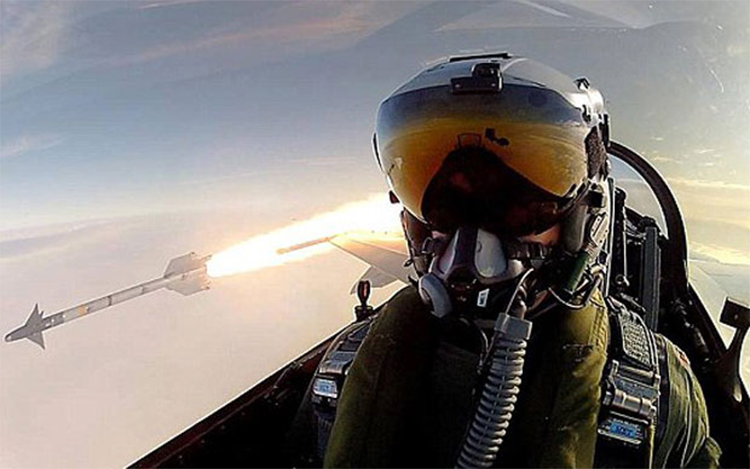 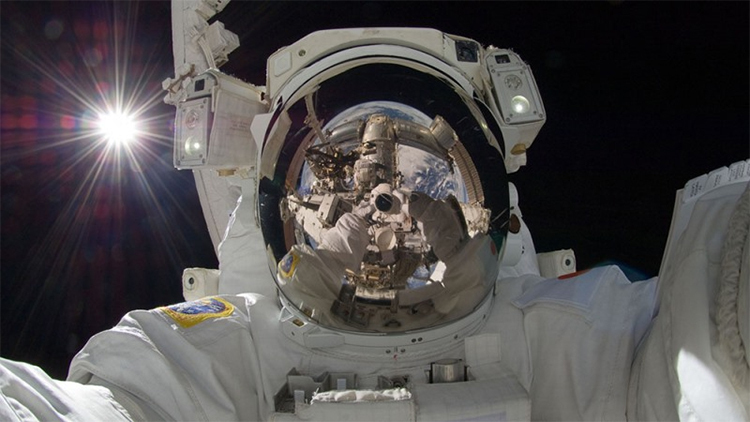 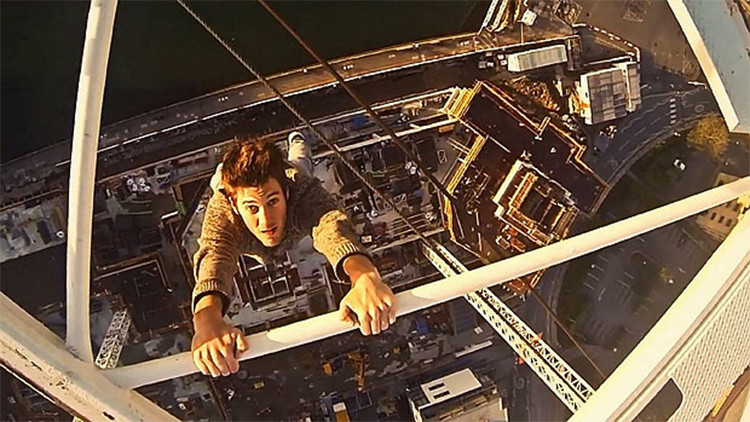 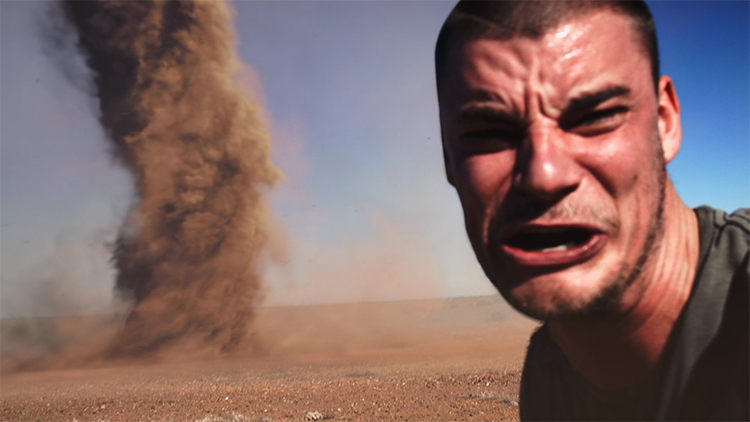 Hey, it's difficult to balance and get a great angle of your face at the same time, and there are worse ways to go than winning yourself a Darwin Award. 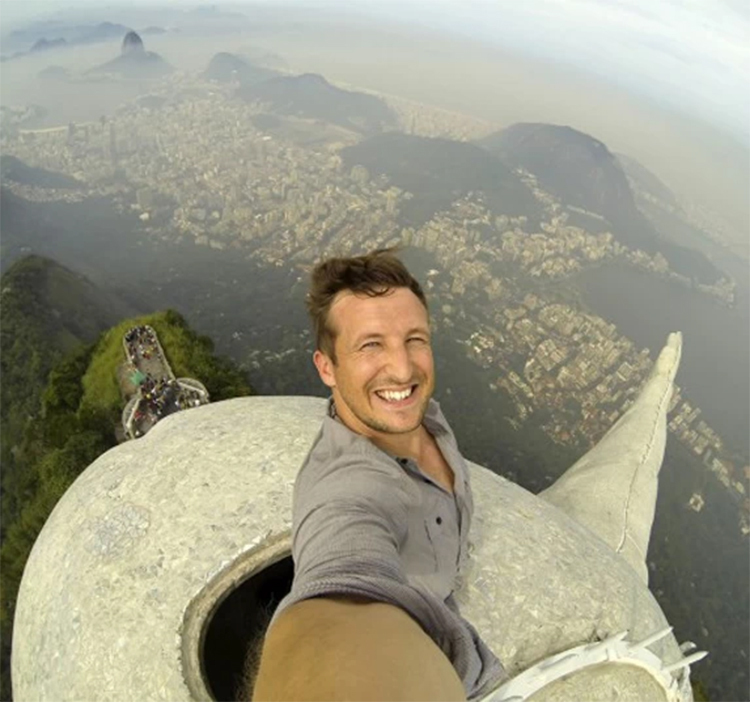 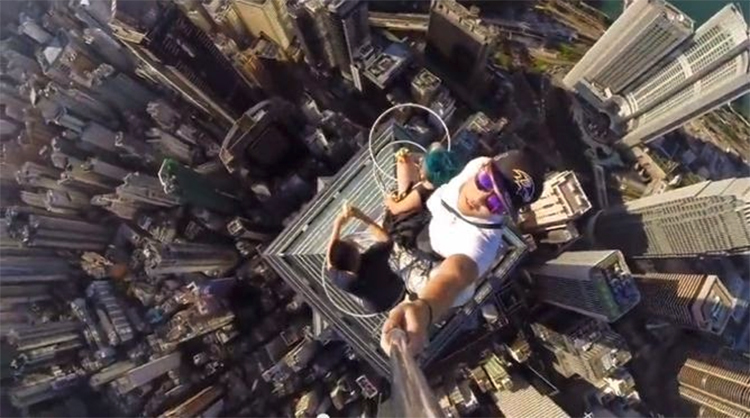 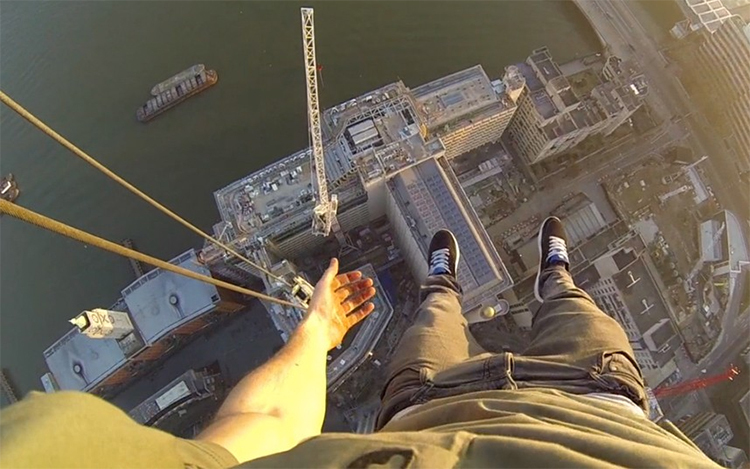 Selfie taken on top of the Christ the Redeemer statue in Brazil. 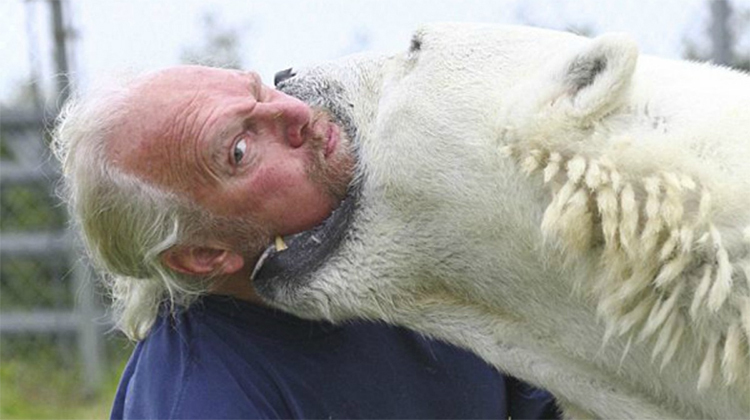 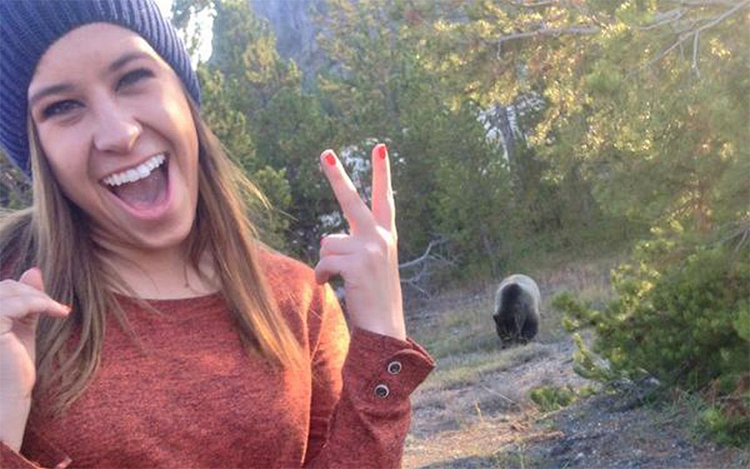 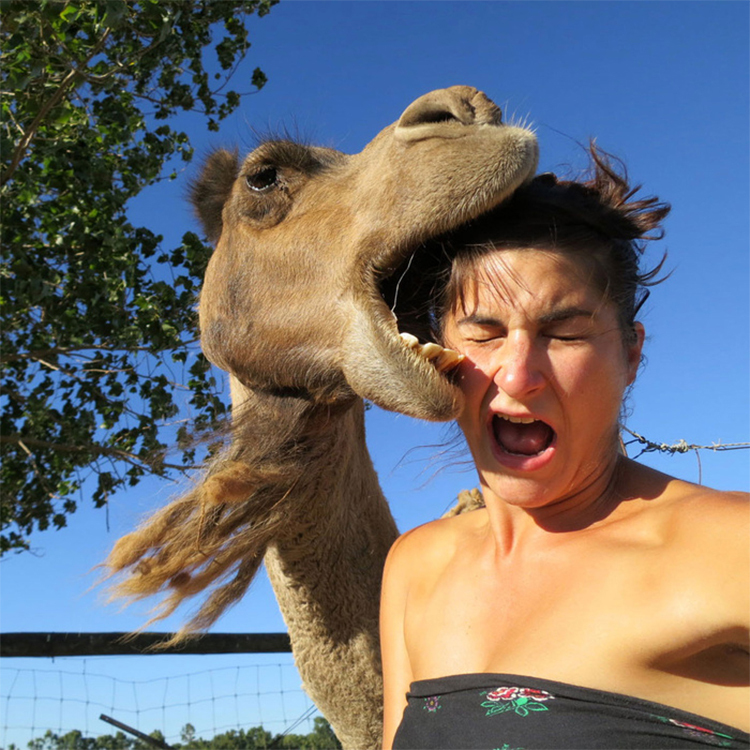 But in two photos time there's one of a guy shoving his head in a polar bear, we kid you not.